You registered with the top Affiliate Program Providers in Step #1. 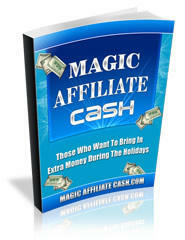 In Step #2 you identified lucrative affiliate programs and chose the one you considered the best. Now sign up with that program. Follow the link to their "Affiliate Program" page and follow the instructions. If the company has its own Affiliate Program, just follow the instructions and join. Once you have registered and have a username and password log in. Copy and paste your link into a text file. You can use notepad for this. Save your text file. For example: lowcostlendinglink.txt. If the Merchant does not have their own Affiliate Program and instead uses one of the top Affiliate Program Providers like Clickbank or CJ they will have links on their site for you to Login or Join. If you've already joined, simply login. Otherwise, join now and then login. This is the link that you will later paste into your "Destination URL" field of your Google AdWords. This link has your affiliate ID in it.